A stunning White Sapphire & Pearl Bracelet by Silver Pansy. 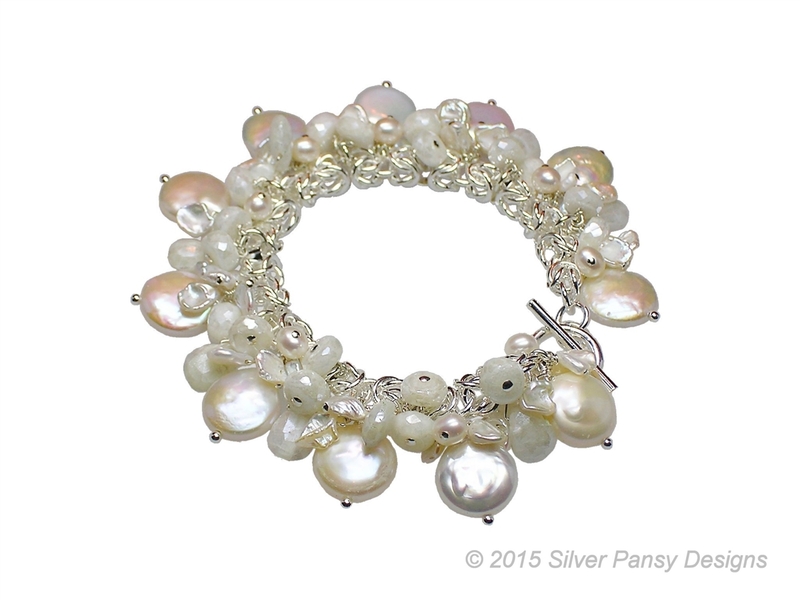 Hand crafted, this designer Bracelet features lustrous White Fresh Water Coin Pearls, mixed with Keshi Pearls & White Sapphire Gemstones. 925 Sterling Silver with a Toggle clasp.